Wonder how Avon continues to be the leading social selling beauty company in North America? 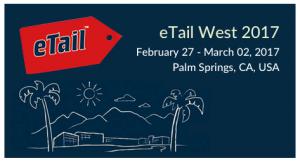 Come to eTailWest 2017 to find out! Download the agenda to learn all the details. The Web Marketing Association is pleased to announce the winners its fifth annual international MobileWebAward competition. This award program recognizes the individual and team achievements of Web professionals all over the world who create and maintain the best mobile Websites and the best mobile applications. 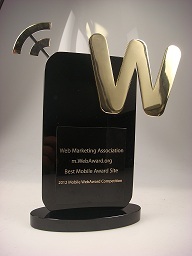 The complete list of winners can be found at www.mobile-webaward.org. Two organization were recognized with the Outstanding Mobile Interactive Developer for winning five or more MobileWebAwards. They are TravelClick Inc, and TopSpot Internet Marketing. The 2016 MobileWebAwards are sponsored by the following leading organizations: Small Army Creative Services, PR.com, EContent Magazine, ad:tech conferences, SEO Inc, Cranberry Radio, and Website Magazine. The Web Marketing Association thanks these companies for their commitment to the entire online marketing community.